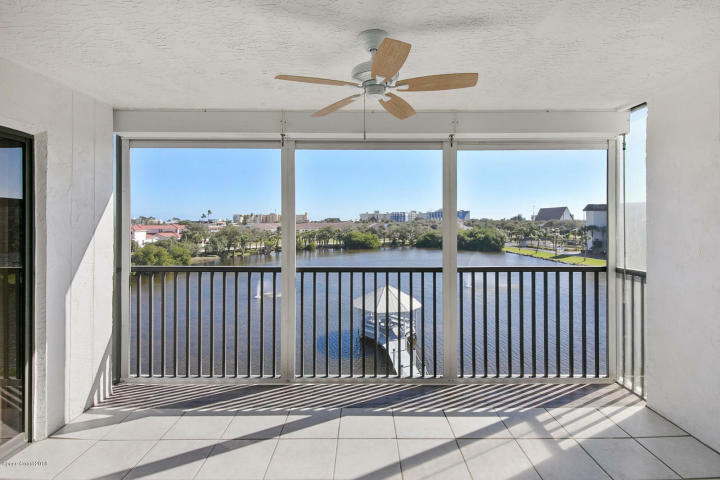 Enjoy a beautiful riverfront sunset from the privacy of your own balcony at Rock Pointe Condominiums in Cocoa Beach, Florida. Rock Pointe Condos offers the tranquility of riverfront living with easy access to shopping, dining, and entertainment. Located in Brevard County, known as the Space Coast, Rock Pointe is part of the vibrant Cocoa Beach community. Rock Pointe sits along the Banana River, part of the Indian River Lagoon System. It is home to an amazing assortment of creatures and plants. Whether you enjoy fishing, kayaking, or watching the wildlife, Rock Pointe’s great views and easy river access won’t disappoint! 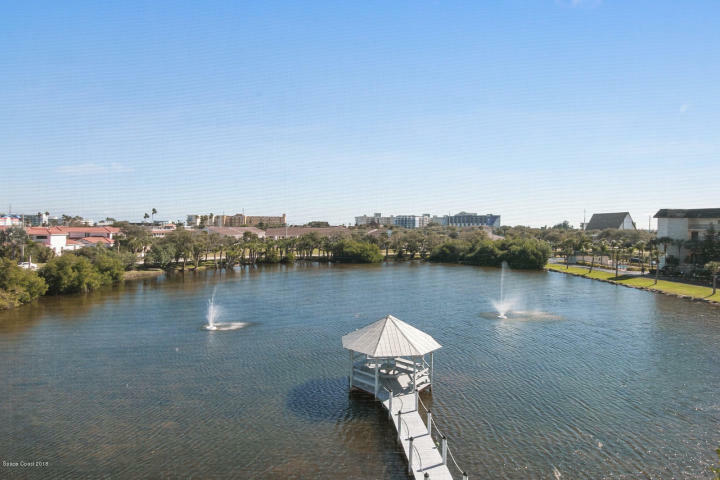 You can spy dolphins and heron from the comfort of your own condo. Destress in the condo’s hot tub or sauna, or workout in the pool or fitness room. Residents also have access to a private tennis court and shuffleboard. If you’d like to hit the beach, the Atlantic is a short walk away. Rock Pointe Condominiums was built in the late 1980s. The condos have two or three bedrooms and two or three bathrooms, depending on the unit. Each unit has AC, ceiling fans, in-unit laundry hookups, a private balcony, parking access, and storm shutters. With a fishing pier and heated pool, it’s a wonderful relaxing retreat from the stress of everyday life. Cocoa Beach is an increasingly popular area for both retirees and families thanks to the exciting atmosphere and recreational opportunities. 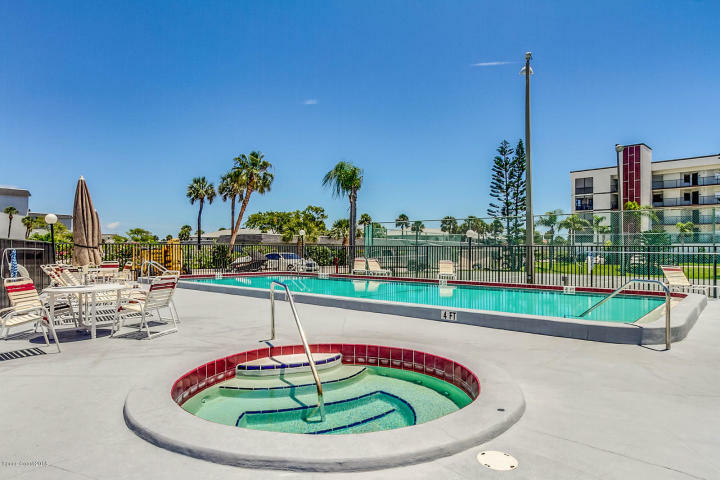 With an abundance of parks, shopping, and dining, as well as awe-inspiring space launches visible from the shore, it’s no wonder that Cocoa Beach condos are in high demand! Rock Pointe condos are served by the Brevard School District, one of the finest in the states. The school district consistently ranks in the top percent of Florida districts. Younger students will attend Cape View Elementary, while older students will enjoy the activities offered at Cocoa Beach Junior/Senior High School. The area is also home to parochial, private, and charter schools for those who prefer those institutions. Commuting throughout the Space Coast is easy thanks to A1A. Whether you want to explore Cape Canaveral or need to drive into Melbourne, Indialantic, or Merritt Island for work, Rock Pointe’s vicinity to major roadways makes it simple. Residents who need to drive into Orlando or Central Florida for work or pleasure will find it a breeze. Simply take 520 into the mainland for access to Orlando, Kissimmee, popular amusement parks, and exciting nightlife. Rock Pointe allows residents to have one pet of 30 pounds or less per unit. The minimum rental time is 6 months plus 1 day. 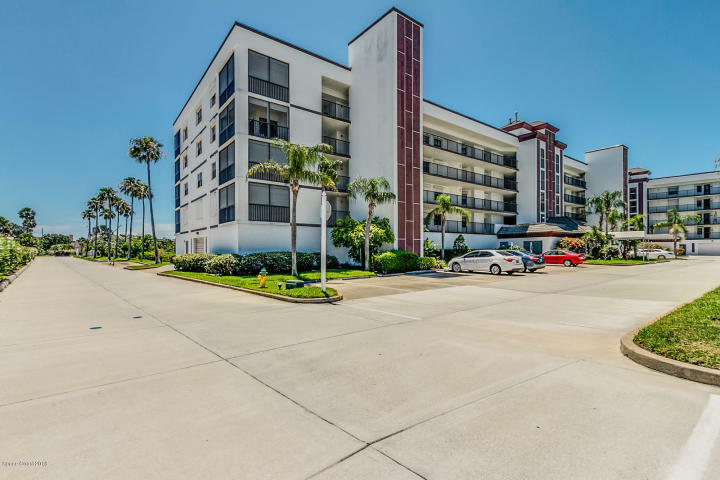 If you’re thinking about a condo or home in the Cocoa Beach area, make sure to speak to a CENTURY 21 Ocean real estate agent to see what’s available!